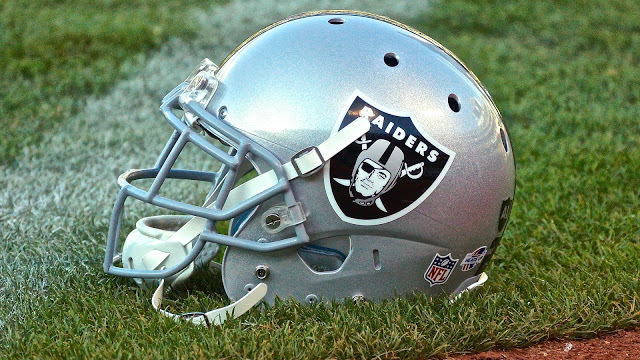 ALAMEDA, Calif. – The Oakland Raiders have signed S Dallin Leavitt and TE Paul Butler from the practice squad, the club announced Monday. Butler was originally signed by the club as an undrafted free agent after participating on a tryout basis at the team’s rookie mini-camp this past May. A 6-foot-6, 252-pound tight end out of California Pa., Butler appeared in 33 games over four seasons with Vulcans, totaling 32 receptions for 381 yards, adding five scores. A native of Dubois, Pa., Butler has spent the entire 2018 campaign on the club’s practice squad after appearing in all four of the team’s preseason contests. Leavitt, a 5-10, 203-pound rookie from Utah State, was originally signed as an undrafted free agent in May and has spent the entire season to date on the Raiders’ practice squad. Leavitt played two years at Utah State after beginning his career at BYU. His collegiate totals include 45 games played with 26 starts, 211 tackles (121 solo), seven interceptions, six tackles for loss, 1.5 sacks and eight passes defensed. A two-time Academic All-Mountain West Conference selection, Leavitt saw action in all four of the Silver and Black’s preseason contests. In corresponding moves, the Raiders have placed CB Daryl Worley on the Reserve/Injured List and waived DE Damontre’ Moore. Moore was signed to the club’s active roster as a free agent ahead of the team’s Week 14 contest. In two appearances with the Raiders, Moore tallied one tackle. Worley, who joined the Raiders as a free agent in April, has played in 10 games with nine starts this season. His season totals include 33 tackles (30), one interception and seven passes defensed. Worley played his first two seasons with the Carolina Panthers and the third-year pro has recorded four interceptions in 41 career games. 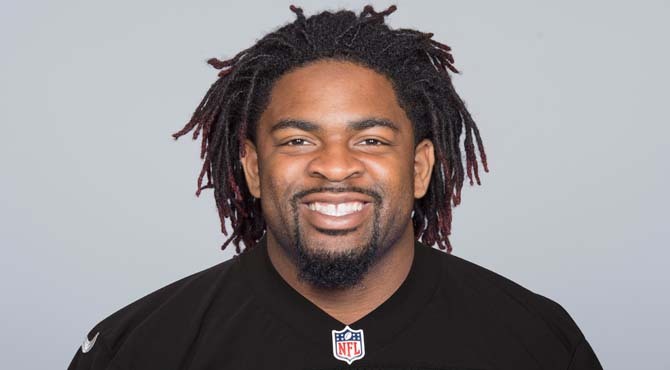 ALAMEDA, Calif. – The Oakland Raiders have signed free agent DE Damontre Moore, the club announced Monday. Moore joins the Raiders after previous stops with the New York Giants and Miami Dolphins. In three seasons, Moore has played in 45 games and totaled 50 tackles (36 solo), 9.5 sacks, two forced fumbles, one fumble recovery and four passes defensed. Originally drafted in the third round (81st overall) of the 2013 NFL Draft, Moore played in 11 games for New York last season before being claimed via waivers by the Dolphins in December and appearing in three games for Miami. In 2014, the 6-foot-5, 250-pounder played in all 16 games for the Giants and set career highs with 24 tackles and 5.5 sacks. The Desoto, Texas, native played in 38 games with 23 starts over three seasons at Texas A&M and totaled 197 tackles (116 solo), 26.5 sacks, eight forced fumbles, one fumble recovery, one interception and three passes defensed. As a senior, Moore was named to the All-SEC First Team and a semifinalist for the Chuck Bednarik Award.